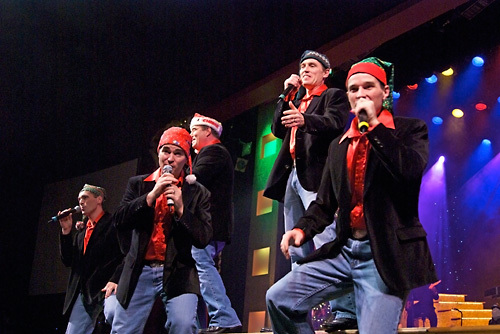 Offering some of Branson’s best vocals, instrumentals, dance and humor, the Hughes Brothers Christmas Show features a holiday performance filled with festive surprises and holiday traditions at the Hughes Brothers Celebrity Theater. 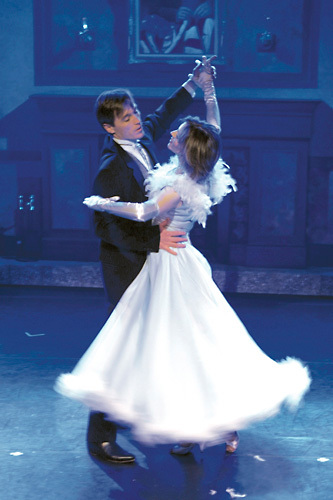 Guests can enjoy Christmas carols, a visit from Santa and a “reason for the season” in the second act that’s filled with music and joy the whole family can enjoy. Over 50 amazing singers, dancers and musicians. 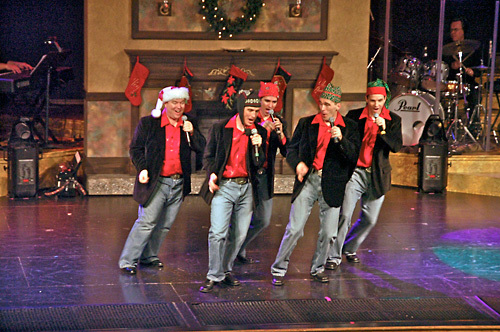 Voted Best Branson Christmas show. This show is a triumph of everything you want to feel at Christmas time! 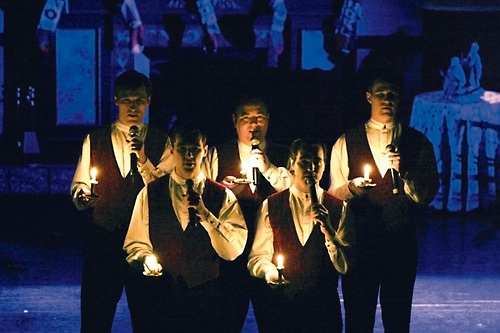 In November and December, the Hughes Brothers and their families bring you the season's best vocal harmonies, festive surprises, and treasured family traditions. See Santa in a new light as he explains the symbols of Christmas in the most moving Christmas presentation you've ever witnessed. 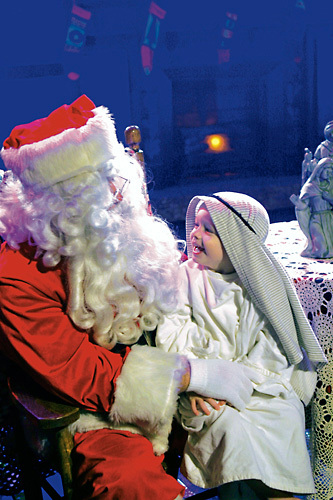 From Santa to a living nativity scene this is the One Christmas Show you'll want to share with your family! 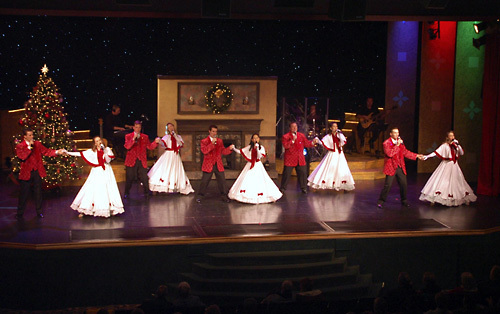 Awarded Branson Christmas Show of the Year ten times. Guest can choose to enjoy dinner before the show. Dinner starts at 6:30 pm and is served up on the Balcony. When we reserve folks for the dinner theatre they will remain on the Balcony for the show. (If you'd like seating on the floor level for the show, please make note of that in your reservations.) These are great seats and the view is incredible. It's a really fun experience. We offer exceptional, fine table-top dining before the show in an intriguing theatrical atmosphere featuring our own Celebrity Chef,Johan Regnell who is classically trained in the European Culinary arts. The menu includes fresh garden greens, cucumbers, tomatoes and red onion salad topped with chef inspired dressings. An entree of slowly roasted pork-loin drizzled with savory balsamic reduction along with herb roasted chicken breast topped with homemade vegetable ratatouille served with roasted baby potatoes, lightly seasoned fresh green beans, and signature hot rolls. Dessert is a luxurious dark chocolate mousse topped with heavenly light whipped cream and fresh raspberries. The children's menu features Chicken fingers, french fries, green beans, dinner roll, and cookie. Beverages of water, iced tea, lemonade, and coffee are also included. A meal is NOT offered prior to the 2:00 pm show. Dinner starts at 6:30 pm. We look forward to seeing you! What is the difference between the morning shows and evening shows at the Hughes Brothers Show? 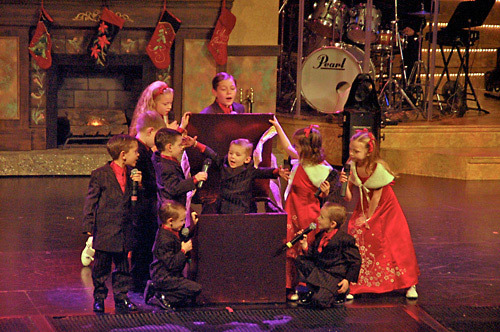 The Hughes Brothers children perform with the whole family during the morning shows. At night, the brothers perform alone. All of the parking available is level and provides easy access for all. We have locations throughout our theater for those who need to stay in a wheelchair to enjoy the show. We have an elevator and easy access to our Dinner Theater. There are no stairs into the theater.